No Fencing Friday April 19th. Easter egg hunt instead! What do I need to start fencing? Find out here. 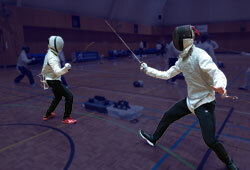 Welcome to the Melbourne University Fencing Club website. Here you can find everything you need to know about the club and hopefully a lot a useful information about fencing. 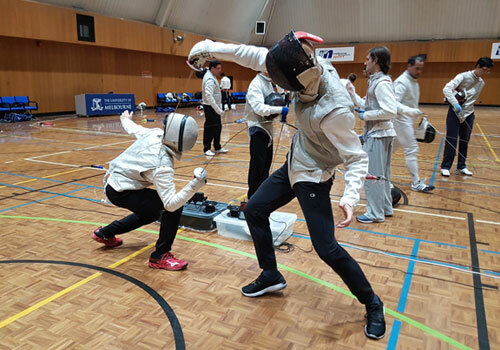 The Melbourne University Fencing club is a social sports club for fencers and individuals who want to learn how to fence. We welcome beginners, intermediates and experts alike. 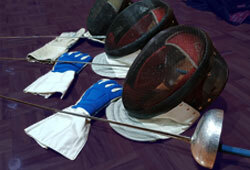 At the club we run fencing training activities such as footwork sessions and casual sparring. Fencing is an incredible sport that takes discipline and stamina. We have a relaxed and friendly atmosphere during training sessions, so it's a great place to learn and try new things. 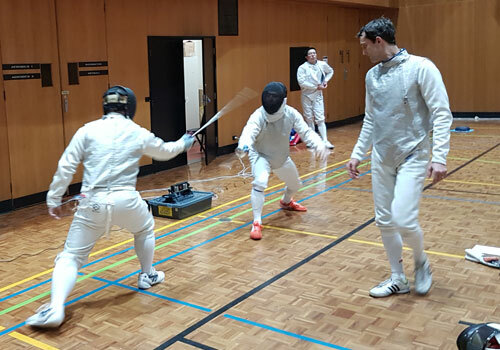 Fencing at Melbourne University Club is a great way to unwind and exercise. For those looking to test their fencing skills we also run a ladder competition for anyone who wishes to compete. 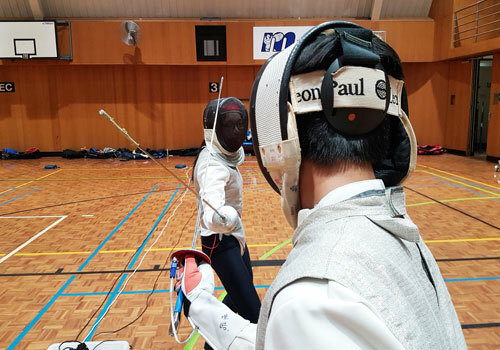 To join our club and start fencing, simply fill out our membership form and visit a session! Want to sign up to start fencing? Contact us to find out how to join the club! 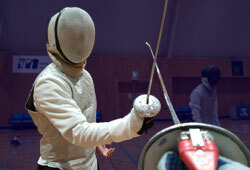 The MU fencing club is made up of members with many different levels of experience. For those who have never fenced before, there is an introductory beginner class each semester. And for those with more experienced, you can attend guided fencing exercises and footwork session before jumping into some bouts. Fencing at the club is a sure fire way to learn exciting new things about the sport. It's always great fun to meet new faces behind the masks. At the MU fencing club we enjoy the social aspects of the sport as much as the fencing itself! You can look forward to seeing friendly and familiar faces at the club when you start to train with us. Put your swordsmanship to the test! We have full electric equipment and enough foils, lames and epees to spare. On Friday sessions we all gear up and have some friendly bouts. On the piste there are always a great variety of styles and techniques. Fencers looking to test your mettle against new opponents look no further. For those looking to get into fencing, think you have what it takes to join the ranks of MU fencing's finest? 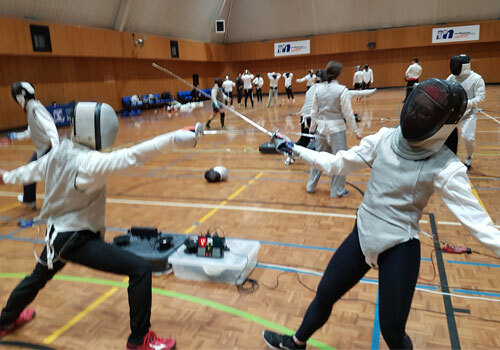 Want to be a competitive fencer? We are introducing ladder ranking at the club! For fencers looking for an extra challenge and an opportunity to push themselves, this ladder is for you.